Renovation of office space for Burberry in West Yorkshire. 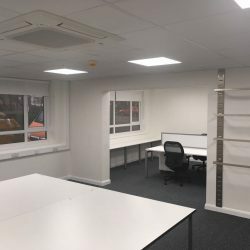 A general refurbishment including work stations, flooring, lighting and decoration throughout. R&B Building Services can design and fit-out your company offices and shared areas and manage all aspects of the project.